As I went on holiday in July I got the chance to read a lot while I lounged around by the pool or on the rooftop of the villa we stayed in. 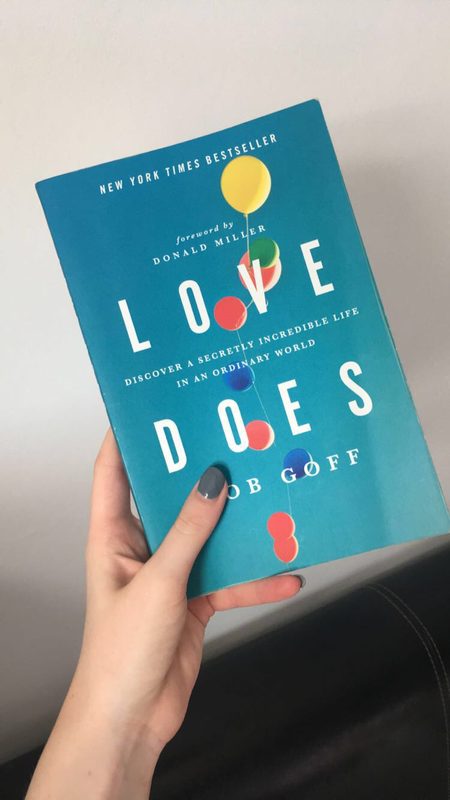 So this month one of my random favourites is this book Love Does by Bob Goff. It’s such an amazing book which include little stories of certain aspects of his life that he always relates to Jesus in the end and how he works in our lives and what he has learned about Jesus through these aspects of his life. I enjoyed it that much I read it within 2-3 days, its definitely worth the read. Another random favourite throughout July was these Victoria Secret Body Spray’s. This is my first ever body spray purchase from Victoria Secret and I was so excited to try them and smell them all as soon as I bought them. My favourite out of the 4 is definitely Warm&Cosy which is a floral and vanilla scent and smells so delicious and I have had many compliments when wearing this body spray. My final random favourite throughout July is the Disney Magic Kingdom game, in which you have to build your own Disney Land by getting rid of the curse that Maleficent has put onto the land, and completing quests from all your Disney characters you have accumulated throughout the game. I’m currently obsessed with this game and I have collected many characters, such as the majority of the Toy Story gang and The Incredibles!